Fire retardant coveralls are an important personal safety item for industrial electricians. Depending on your environment, they may be compulsory equipment. Working in dangerous environments requires you to wear certain personal fire retardant clothing. An arc flash (or arc blast) event is a kind of explosion caused by high voltage. Wearing the proper protection can prevent a small incident from becoming a disaster. Most employers will supply you with the proper safety equipment, but if you are an independent contractor, you may have to buy the gear yourself. However, most companies will still provide personal protective equipment to independent contractors. Do not cut corners when it comes to safety equipment. Saving a few bucks on a cheap pair of coveralls can end up costing you much more in the long run. First, they will not last as long, so you will be buying a new pair in no time. Second, if you do have an accident, you could lose several contracts while you are in the hospital or at home recovering. If you can’t find a safety supply store nearby, you can shop online. 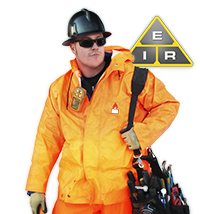 There are several reputable companies that sell high quality fire retardant coveralls over the Internet. Prices generally range from about $100 to $300. Make sure to purchase “Cal” rated F-R Coveralls. 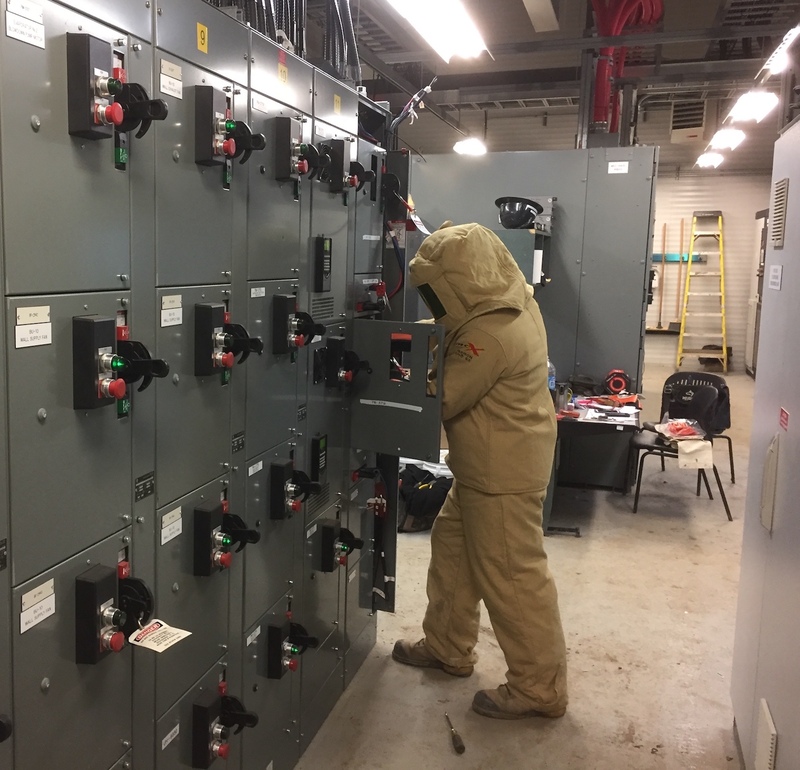 There are some super heavy-duty coveralls that cost well over a thousand dollars, but as an electrician, you will probably not need that type. A good pair around the $150 mark should do the job quite nicely. Weight is often a factor when choosing FR coveralls. You do not want a pair that will impede your work. You want a pair that will provide adequate protection, but still be comfortable enough to wear all day. They need to be lightweight and flexible. Electricians often find themselves in tight quarters. The last thing you need is big bulky coveralls that make it impossible to get to the problem area. 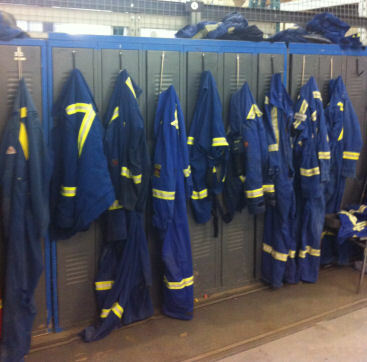 You may also come across many situations that do not require the extra protection of coveralls. In these cases, always store your protective gear in a safe, dry place. Give them a thorough cleaning before storage and fold them neatly. You want them to be ready when you need them. You do not want to pull them out only to find they have been contaminated by chemicals, mud or dirt, or infested with insects. Most fire retardant coveralls are made of cotton and nylon. The inner cotton layer provides comfort, while the outer layer provides protection. The nylon is treated with high quality flame retardant chemicals that are impregnated deep into the fibers. The chemicals are designed to self-extinguish any source of ignition, preventing a full fledged fire to break out. With proper care a good pair of fire retardant coveralls should last several years. You can generally find them in orange, white, khaki, royal blue and navy blue. They can usually be washed in a regular washing machine. Just make sure to follow the washing instructions on the label. They should not be put in the dryer. Let them hang dry, as the dryer may interfere with the fire retardant chemicals. For electrical workers, the National Fire Protection Agency 70E standard is followed. It requires employees to wear flame retardant protective clothing any time the threat of exposure to an electrical arc flash is present. Currently, abiding by the standard is voluntary, however most companies do comply. It is considered the generally accepted industry safety standard throughout general manufacturing and within the electrical industry. The Occupational Safety and Health Association will fine companies that do not voluntarily comply. Their general duty clause requires all employers to take the necessary precautions to protect workers in all situations. The Occupational Safety & Health Administration (OSHA) is currently rewriting their standard that covers all operations and maintenance of electrical power generation, transformation, control, transmission and distribution of electrical lines and equipment to closely reflect the standards set out in NFPA 70E. When this standard gets approved, the requirements will become law and not just voluntary. When working with electricity there is always a danger of an arc flash event. Protect yourself with a good pair of fire retardant coveralls and prevent a small incident from doing some serious damage to your body.